The Peruvian business delegation consisting of six aquatic companies visited Ho Chi Minh City to learn bout new cooperation environment. As plan, they will have a meeting with Vietnam’s seafood enterprises to learn about related information and consume tendency for aquatic products in Vietnam. This is considered a favorable chance for Vietnamese seafood firms to be able to update information as well as open new cooperation opportunities from Peru market. 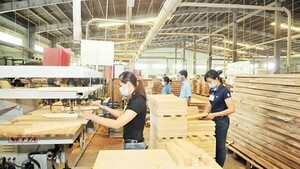 Peru is suitable market with Vietnam's business qualifications and size.